Although this is new to me, it’s news from October. CAPPA announced that certified doulas will now be able to apply for insurance reimbursement through Medicaid and other third party insurance companies. According to CAPPA, certified doulas can register for an NPI (national provider identification number) under the heading of “Nursing Service Related Providers Type.” (NOTE: According to CAPPA, you do not need to be a nurse). Their post about this doesn’t explain which certifications count (DONA? CAPPA? toLabor?) or what the reimbursement might actually be. These steps are really important for expanding access to doula care to those without the means, but who might have private insurance or Medicaid. The downside is that inclusion in insurance programs also usually mean stricter regulation of doulas, usually via certification. Right now, certification is just an administrative (and financial) hurdle doulas have to cross, but it’s possible that it could get harder as the role of the doula becomes more professionalized. 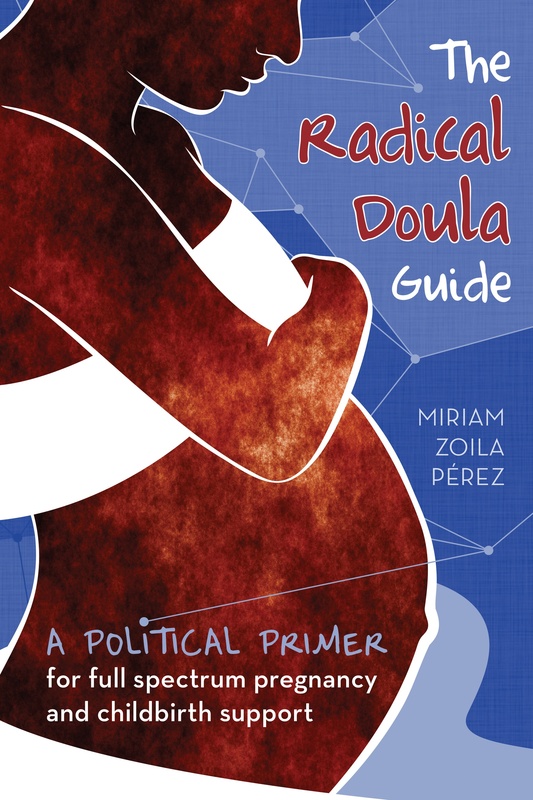 Will it be harder to be a radical doula in a super-professionalized doula world? It’s possible. (For more on why I’m not certified, go here). Professionalization has also been a struggle for midwives. It’s meant more rigorous standards for education (and only certain types of education count), training and even malpractice insurance. It’s a double-bind, since for low-income women to have access to doula and midwifery care, we need insurance inclusion, but insurance inclusion means tighter regulation and restrictions on how we practice. Anyone have experience getting reimbursed by insurance companies or Medicaid for their doula services? Next Article How about we call it blog for justice day? Doulas do not need to have certification in order to receive their provider number. I think that both the posts by CAPPA and DONA wanted doulas and potential doulas to certify through them or re-certify for fear they could not get a provider number without it. While I was certified for years through CAPPA, I do not currently keep paying high certification fees (ten years is enough– I am as certified as it’s going to get!). Applying for the provider number was as easy as pie and I had mine in a matter of weeks. There is no requirement at this time to have a certification. This could, of course, change, as well as education requirements, etc. Thanks for the info, knoxvilledoula. Do you happen to know if it matters what state you are in? Regarding the above thread can you sahare that info by email with me also, I live in Atlanta, and I am starting my Doula business soon. This info would be great to have to further assist the women I care for. Any doula can apply no matter where she lives. There’s detailed information on DONA’s homepage about the taxonomy code provided by NUCC, and how to apply for an NPI. If you depend on the money you make as a doula, you would probably want your clients to pay you and have them apply to their insurance company for reimbursement for what they paid you. I also wanted to add…that understanding the difference between reimbursement and coverage is huge in this case. I think insurance companies definitely regulate what they “cover”…but since reimbursement is so particular, and they can always say no…I’m hopeful that doulas won’t fall under scrutiny with this since we’re not “included in insurance programs.” Maybe I’m naive. Are CAPPA and DONA the only companies that allow Doulas to be reimbursed financially through Medicaid? I don’t think the Doula group gets to decide exactly, it’s more decided through a state’s legislation about what providers are medicaid eligible. Different doula groups can lobby for doulas certified through their organizations to be considered medicaid eligible. In Oregon, for example, I believe that the International Center for Traditional Childbearing has successfully gotten legislation passed allowing their certified doulas to be reimbursed by Medicaid. It all varies state by state. Hope that helps! Is there a state by state list that says which states medicaid program reimburses? I am in Missouri and a lot of women on medicaid could benefit from this. I am not certified with any organization, however I was able to easily get my NPI #. I recently submitted a detailed invoice and letter for clients to submit for reimbursement through their Flex Health Savings Account. I will report back when I know they were reimbursed. I’m still a little unsure of the correct taxonomy codes, so we will see what worked. I am in California and so far have only heard that coverage is available through health savings accounts. I have not heard of anyone successfully billing medi-cal. I know this is an old post but I was wondering if your client got reimbursed for your services? I live in California and am trying to investigate if insurance will cover my doula services. Thanks!